Hump day already! Woot woot!! I love it when the weeks fly by. Actually, I know it is because I am feeling better finallllly and don't you just love it when you're back at your normal energy level?! It is like looking at the world thru blush colored glasses ;) Or my gold aviators!! One of the things I love most about California is our winter weather. It could be crazy one day and super mellow the next. 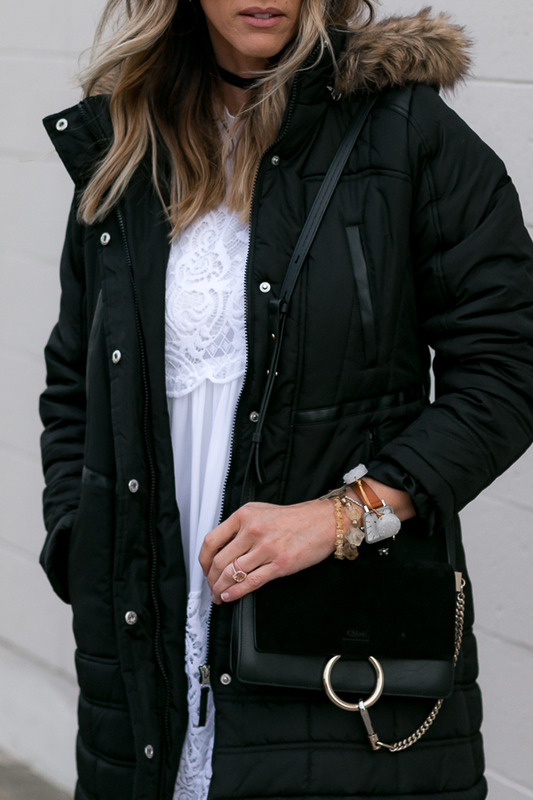 I love to wear my dresses in the winter and it is definitely doable here simply by layering. 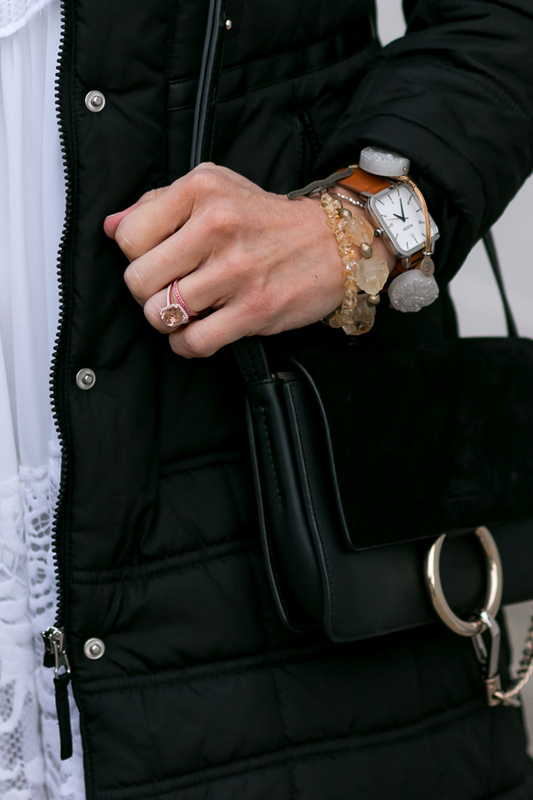 I love love love this fur trimmed parka I bought last fall (it has been a total staple) and how cute does it look paired and layered over a pretty, feminine dress?! So perfect especially with the white lace peeking thru the bottom. Now if its a bit colder, I would add an opaque black tight or leggings underneath. And you all know I am a sucker for booties and these babies are well worth the $. They are comfortable to walk and stand in and super cute with all the buckles. Now, I need to up my spray tan game and we are talking.